Primrose Oil with vitamin E. Provides 500mg of primrose oil per serving. It provides 1000mg of Maca (Lepidium meyenii Walp.) root concentrate powder per daily dose. Hydrolyzed collagen with hyaluronic acid and vitamins. Provides 5000mg of hydrolyzed collagen per serving. Activated carbon, anise and mint essence. Provides 435mg of activated carbon per serving. Tryptophan with Lemon balm and Vitamin B6. Provides 250mg of Lemon balm and 100mg of tryptophan per daily dose. Provides 666mg of Red yeast rice (Monascus purpureus) per daily dose. With Milk Thistle, Black pepper, Poliocosanol, and Bioflavonoids. Provides 1mg of Melatonin per daily dose. With magnesium and vitamin B6. Made of plants. Provides 540mg of Hop and 160mg of Yucca per daily dose. With Turmeric, Devil's claw, Nettle, and Hyaluronic Acid. Shark cartilage. Provides 4500mg of shark cartilage per daily dose. Provides 1000mg of Colostrum and 1000mg of Royal jelly per daily dose. With vitamin B6. Caper, Curry plant, Resveratrol, Black currant, Olive leaf, and Ginseng. It provides 320mg of caper concentrate. Royal jelly with vitamin C. It provides 1000mg of royal jelly and 10mg of vitamin C per vial. Chlorophyll, Chlorella, Broccoli, Iron, Ginger, and Zinc. It provides 100mg of chlorophyll per daily dose. Royal jelly with vitamin C and orange flavor. It provides 2000mg of royal jelly per daily dose. Blueberry, bitter orange, beta carotene, vitamins, minerals and amino acids. It provides 200mg of sallow thorn, 150mg of echinacea, and 100mg of elder per daily dose. Royal jelly with propolis and vitamins. It provides 300mg of Royal jelly and 60mg of Vitamin C per daily dose. Royal jelly with echinacea, propolis, and vitamin C. It provides 2000mg of royal jelly per daily dose. Royal jelly with vitamin C. Provides 2000mg of Royal jelly and 10mg of Vitamin C per daily dose. Magnesium with Vitamin B6. It provides 376mg of magnesium and 1.4mg of vitamin B6 per vial. Branched amino acids + Glutamine. 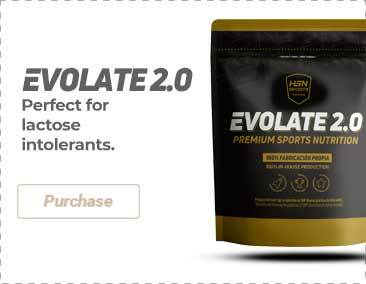 Provides 500mg of glutamine and 500mg of BCAA's per serving. Liquid Vitamin E in a bottle with dropper. It provides 12mg of Vitamin E per daily dose. Vitamin D in a bottle with dropper. It provides 5µg of Vitamin D per daily dose. I used it for two months and the results were amazing. I recommend it to everyone who is struggling with cholesterol and weight. Marnys is a brand that elaborates and distributes natural products and it is continuously growing thanks to its dedication. They began their journey in 1968, which means that they have 50 years of dedication that has granted them recognition in more than 60 countries. Based in Cartagena, Murcia. They offer the best quality raw materials and control and quality of the finished product. Marnys® aims to be synonymous with quality in all the countries where they distribute their products. The key to success of this enterprise is constant innovation, both in their laboratories and their products. Under the firm commitment of "Natural Quality", their product are natural and organic, which makes them different from other brands. Marnys carries out quality control processes and they are commited to offer only the best to their clients. Their facilities follow the Good Manufacturing Practices (GMP) and they use ingredients that are not irradiated nor genetically modified (NO-GMO). They also have one of the most advanced technologies in the nutrition industry. Marnys has a wide range of products that meets the needs of each customer. These products aim to meet the nutrients requirements of our body. Manrys has a wide range of vitamins, minerals, amino acids, fatty acids, fiber, etc. Manrys only uses pure oils that are 100% natural, without added aritificial substances or petroleum products. Products that are designed to preserve the health of our skin and hair. Quality cosmetics that are made with 100% natural products. When Marnys started out, they focused on manufacturing natural products, leaving aside synthetic ones. Their products do not have genetically modified ingredients nor irradiated ingredients. All of them are aimed at the wellbeing of their clients.